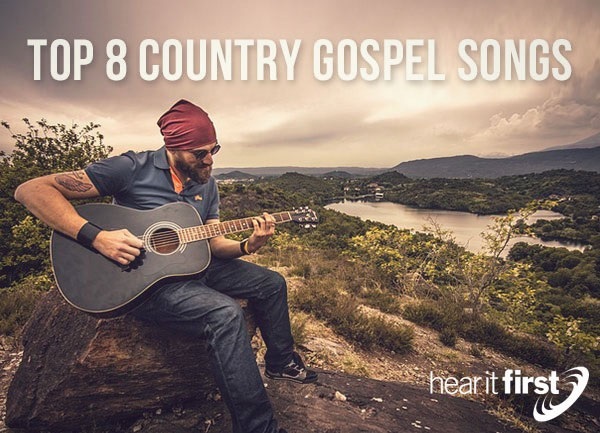 Here is what I consider eight of the top country gospel songs. Unanswered Prayer by Garth Brooks is an extraordinary close look into the sovereignty of God, where Brooks discovers that God always knows what’s best for us, even when it doesn’t feel like (Rom 8:28). This is a lesson that most Christians will learn from experience, and like most of us, learn it the hard way. How often have you and I prayed for something, only to find out days, months, years later, that it would have been a disaster for us? Brooks thinks it’s all a matter of trust, and that’s what this song expresses so well, but also why it’s so popular in the country gospel song category. The conclusion for him was unanswered prayer shows we’re not sovereign (thankfully! ), but only God is, and the wisdom of God always does what is best for us, not what we think is best. Ferlin Husky’s “Wings of a Dove” didn’t only rest at the number one position of the gospel country music charts; it soared like a bird in flight, up to the number one spot in country music’s top 40, and it remained there for several weeks. It has such appeal that it even entered the pop charts in 1987, peaking at number twelve on the Hot 100. This gospel song was one of the most recognizable songs in American history, and as you have read, not just among country music fans. Bob Ferguson, who wrote the song, used the image of a dove because it was symbolic of hope in the story of Noah as he sent “forth a dove from him, to see if the waters were abated” (Gen 8:8). What a song of hope for so many millions of believers. This may be Vince Gill’s most moving and passionate song of all, and I don’t believe he’d argue with that because of what happened in his life just before he wrote this song. I do not believe it was any coincidence that Gill wrote this song shortly after the death of one of his closest friends, Keith Whitely who died from alcohol poisoning. You can almost see his tears as he sings, as if singing to his old friend Keith, “Go rest high on that mountain. Cause, son, your work on earth is done. Go to Heaven a-shouting. Love for the Father and the son.” That’s why this country gospel song is so very special. Remember that the next time you hear “Go Rest Him on That Mountain,” by Vince Gill. He is singing goodbye to his old precious friend, Keith. Kris Kristofferson is not only a singer and songwriter, but is an American actor as well, but his song, “Why Me Lord” not only shot up to the top of the country gospel music charts, but also the country music charts…and soared into the Rock and Roll (Pop) Top 40. It is very rare for a Christian-themed song to rise near the top in the gospel, country music, and rock and roll charts, but this song resonated with a lot of people, because like Kristofferson, there are many people surprised by grace. They identified with his singing this question, “What have I ever done, to deserve even one, of the pleasures I've known.” That’s why it’s called, “Why Me Lord?” The truth is, none of us deserve what we’ve been given, and that’s why Kristofferson was also surprised by God’s grace which makes it so amazing. Hank William’s classical country gospel song ranks at number one among most of the greatest gospel songs of all time, and not just in the country gospel genre. Williams sings as man who’s wandered off the lost highway and into the light as he sings “I wandered so aimless, life filled with sin. I wouldn't let my dear Savior in.” This song is perfectly suited to Williams as he had a daily battle between the bottle and the Bible, and he had one foot in a “honky tonk” world and another in church. He must have understood this later in life, because near the end of his life, he understood that much of what he’d done in his life was not that of a true Christian. It was this disparity that caused him to write “I Saw the Light.” Hank Williams would battle this addiction almost to the end. Perhaps the Apostle Paul might be able to express what Williams felt; “I do not do the good I want, but the evil I do not want is what I keep on doing” (Rom 7:19), and what Christian is there that hasn’t battled that? If Carrie Underwood’s, “Jesus Take the Wheel,” isn’t a public profession of Jesus Christ, then I don’t know what one is…and I do! This song brings to mind Jesus’ own words, and Carrie does in lyrics what Jesus requires of all believers, and that is, “everyone who acknowledges me before men, I also will acknowledge before my Father who is in heaven, (Matt 10:32), however, this necessarily means “whoever denies me before men, I also will deny before my Father who is in heaven” (Matt 10:33). That’s not an issue for Underwood though, as she sings “Jesus, take the wheel, Take it from my hands, ‘Cause I can't do this on my own, I'm letting go.” Even though this is a gospel song, CMT rated this as forth best song of the decade, and not just in the gospel genre, but in country music. Imagine, a song that essentially launched her career, and singing publically of Jesus, “Jesus, take the wheel.” That’s superior to “Jesus is my co-pilot.” It’s also safer. This was a hard decision because Josh Turner’s Long Black Train is grouped with such legends as Hank Williams, Vince Gill, The Carter Family, and other heavy weights from the past, but for the crystal clear presentation of the gospel that this song presents, it’s no wonder that it’s sent conviction to even the hardest of hearts, and I believe that was the idea of this song. By the way, the train isn’t the headed to heaven, but as the lyrics reveal, the two rails are leading to the fiery judgment of God. It might cause one to repent (if God grants it), when he sings, “There's a long black train, comin’ down the line. Feeding off the souls that are lost and cryin’. Rails of sin, only evil remains,” so the listener is left only with only one option: “You can look to the skies. You can find redemption. Staring back into your eyes.” This is why so many in evangelical circles consider it to be one of the top country gospel songs of all time…it’s the timelessness of the message or call to repentance, just as Jesus brought (Mark 1:15). I really struggled to include such worthy songs from Randy Travis’ “Three Wooden Crosses’,” “I Believer” by Brooks and Dunn, Rascal Flatts, “Bless the Broken Road,” Steve Wariner’s “Holes in the Floor of Heaven,” “Angels Among Us,” by Alabama, and from George Straight to George Jones. I know I must have missed one you think deserves this honor, and if so, please let us know. Whichever song is your favorite, we can easily see the underlying theme of praising God and worshiping Him in song. I believe singing praises to God in song is actually praying to God; it reaches His ears and is most pleasing to Him, and considering the fact that His grace was given to us, and to which none of us deserved, why not give back to Him all of our praise, thanksgiving, worship, and in song.